Welcome to the quarterly newsletter from CNEP. 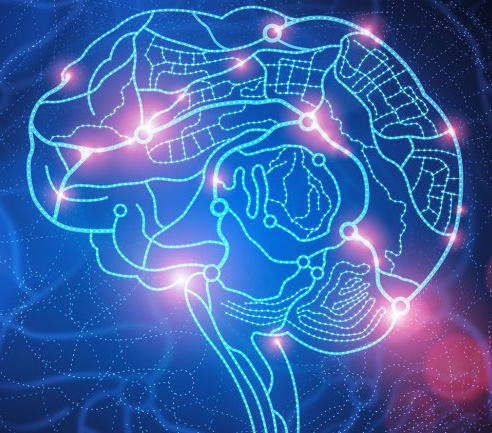 Our mission is to develop brain-machine interfaces to restore function in the human nervous system. Read on for the latest news and research discoveries from our impressive faculty. CNEP faculty are part of an effort to map the brain circuits that cause depression and other mood disorders. Patients who have electrodes implanted for epilepsy or Parkinson’s Disease are asked to participate in a study on depression. Their electrode data is correlated with their moods, which is quantified with an app by Posit Science. 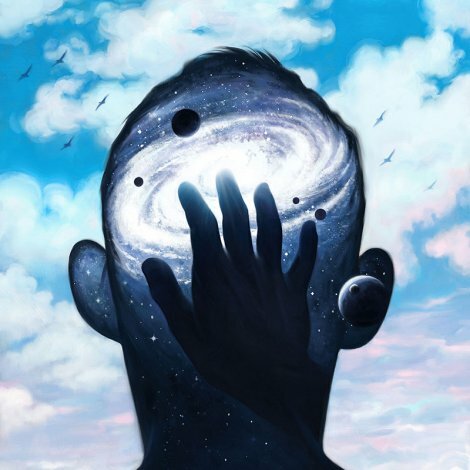 The ultimate goal is to go a step beyond identifying the brain circuits involved in mood disorders and retrain the brain to unlearn depression and anxiety with therapeutic brain stimulation. Read the full story in UCSF Magazine. 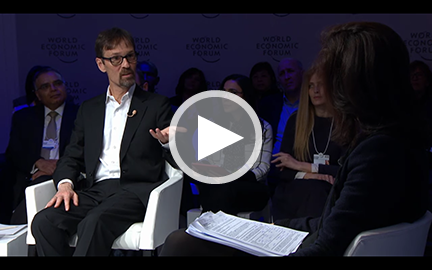 World Economic Forum discussion on brain decoding and the law, "What if: Your Brain Confesses?" 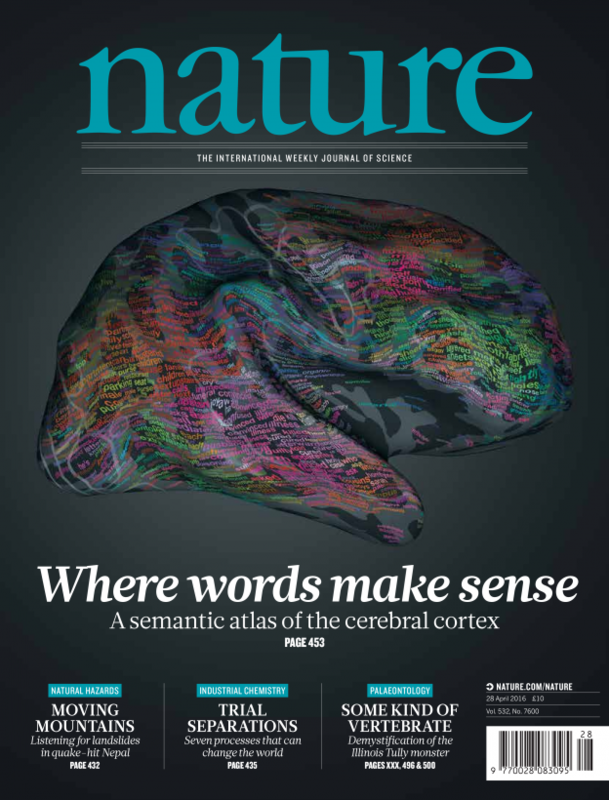 In their paper in Nature, Frederic Theunissen, Jack Gallant and co-authors describe a data-driven approach to map language representation across the human cortex. Using fMRI to monitor brain activity during language processing, they were able to identify regions of the cortex that specifically respond to a set of related words, such as words representing numeric concepts, or emotional concepts. The resulting semantic map could eventually be used to decode what someone wants to say, giving a “voice to those who cannot speak, such as victims of stroke or brain damage, or motor neuron diseases such as ALS.” Read the full story in Berkeley News and the research article in Nature. Michel Maharbiz, Philip Sabes, and co-authors developed an interface that optically stimulates neurons and records the consequent activity over a large region of the primary somatosensory and motor cortex of nonhuman primates with micro-electrocorticographic arrays. 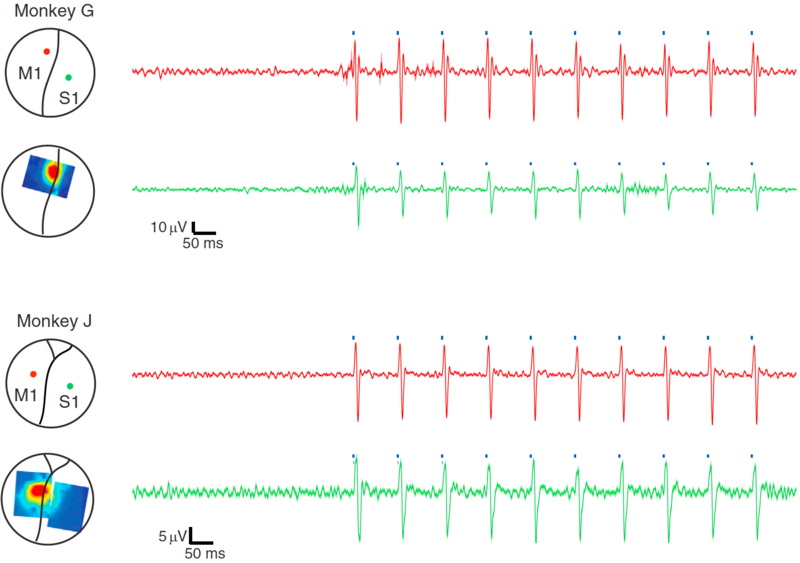 This will serve as a powerful tool to study circuit dynamics and link them to complex behaviors. Read the article in Neuron. 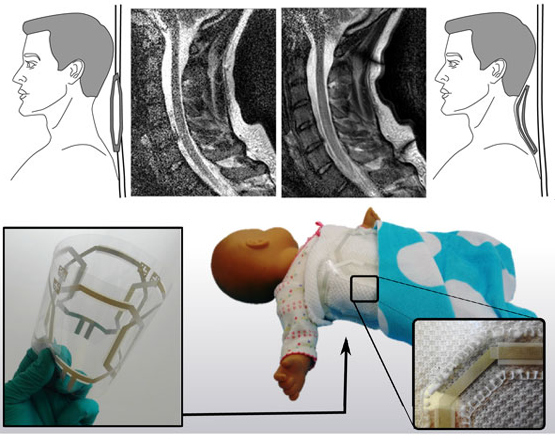 Michael Lustig and collaborators created lightweight, flexible receive coils for MRI that improve diagnostic image quality. Read the article in Nature Communications. 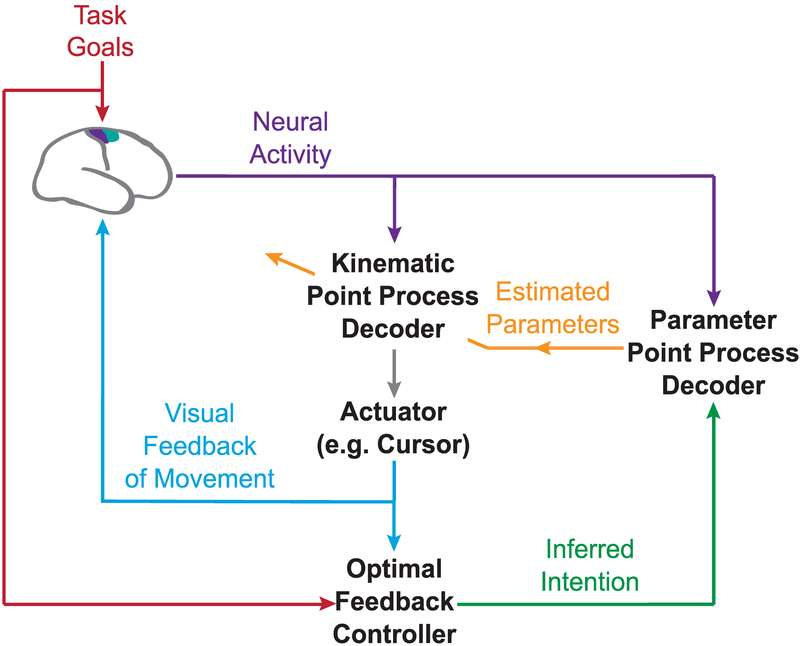 To control a computer cursor or robotic arm with our thoughts, our intended movements must be interpreted by a decoder. A decoder is a computational algorithm that transforms brain activity into commands for an external device. Jose Carmena and co-authors have improved decoder accuracy with a novel closed-loop training architecture that allows the decoder parameters to be adapted dynamically with every neuronal spike event. Read the article in PLOS Computational Biology. Loren Frank and co-authors identified a network of neurons that become active during moments of immobility. This network, located in the CA2 region of the hippocampus, may generate a representation of current location. Read the full story from the UCSF News Center, and the article in Nature. We are pleased to welcome new faculty members Rikky Muller and Frederic Theunissen! 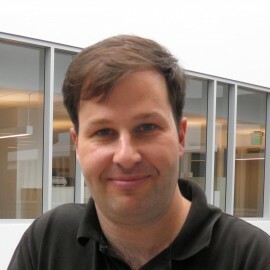 Muller, co-founder of Cortera Neurotechnologies and named as one of the “35 Innovators Under 35” by MIT Technology Review, was recently appointed as Assistant Professor of Electrical Engineering and Computer Science at UC Berkeley. Muller's research group works on implantable and wearable medical devices that interface with the central and peripheral nervous system. 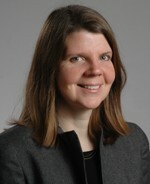 Theunissen, Professor of Psychology at UC Berkeley, investigates auditory processing of speech and music. Recently, his lab has developed algorithms based on the way songbirds process vocal communications. These algorithms may be incorporated into hearing aids to improve their ability to detect a friend talking over the sound of a noisy restaurant. 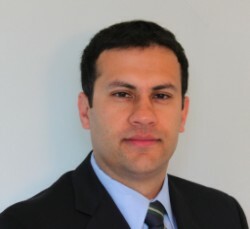 Karunesh Ganguly received the New Innovator Award from The National Institutes of Health for his project to enable ECoG neuroprosthetic control of robotic exoskeleton for paralyzed patients. 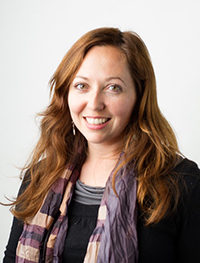 Claire Tomlin awarded a grant from Microsoft to create an intuitive human-robot interface to control robots. In particular, Tomlin and collaborators are using holographic computing to design an augmented reality approach to drive drones. 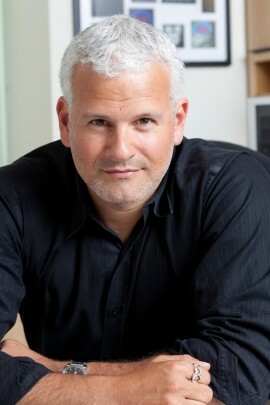 Adam Gazzaley is the Chief Science Advisor behind Project: EVO, a mobile video game to improve selective attention. Akili Interactive Labs secured $30.5M in investments to further test and develop Project: EVO for commercial release by 2017. This game may be used as a treatment option for children with ADHD. Loren Frank named Howard Hughes Medical Institute investigator and Co-Director of new Kavli Institute for Fundamental Neuroscience at UCSF. The Institute will focus on gaining a deeper understanding of plasticity, the brain’s remarkable capacity to modify its own structure and function. The next annual CNEP retreat will be held on December 2nd, 2016, at Genentech Hall, UCSF Mission Bay. We would like to thank Tencent, China's leading Internet service platform, for their continued support of CNEP. Copyright © 2016 Center for Neural Engineering & Prostheses, All rights reserved.